Elle's Spell // Brown Sparkles // Night Moves // Gold Digger // Love. 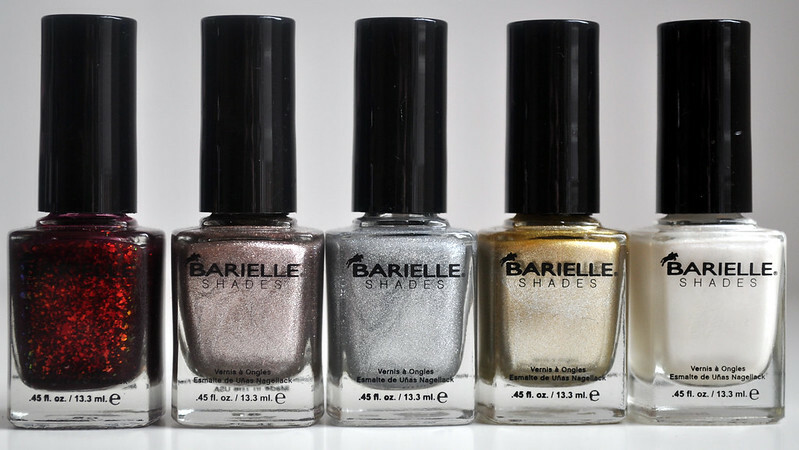 These are the first Barielle polishes that I've tried but I have wanted to some for a while, Junebug in particular. Whilst looking through the nail polishes in TKMaxx I came across this set of 5 polishes. I didn't think too much about it because I'm not really a fan of these types of shades. As soon as I put it down I picked it up again and took a closer look at the red polish. It didn't seem to really fit in with the other four shades. Just look at all that flakie goodness!! 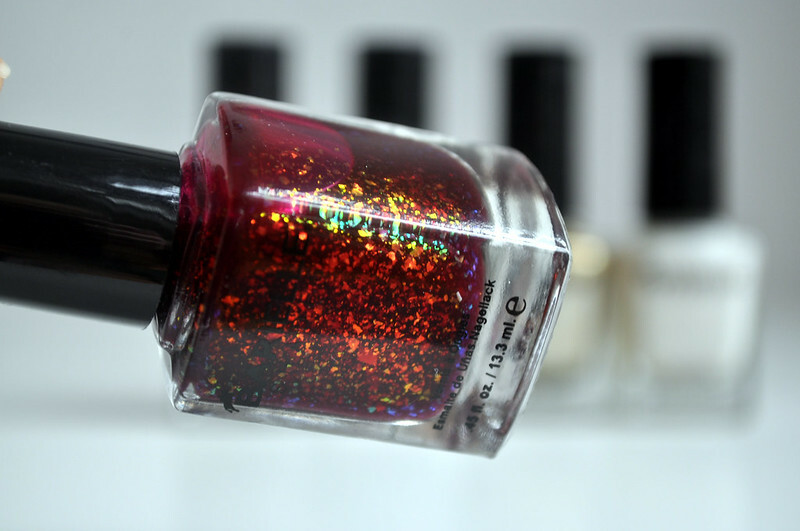 It reminds me of a red version of Orly's Fowl Play or OPI's Merry Midnight which are two of my favourites. I may or may not have bought this set purely for this polish. Like the other two polishes it has an almost jelly formula to it so means it is quite sheer but works great over a red polish. Despite the name, Brown Sparkles, it's more of a rose gold and one I'll definintely get some use out of. The others will be good for Konad stamping as my other silver polish is running out. Wow that Sparkly one is amazing. I love going in TKMAXX to get my nail varnish. They always have some great bargains!